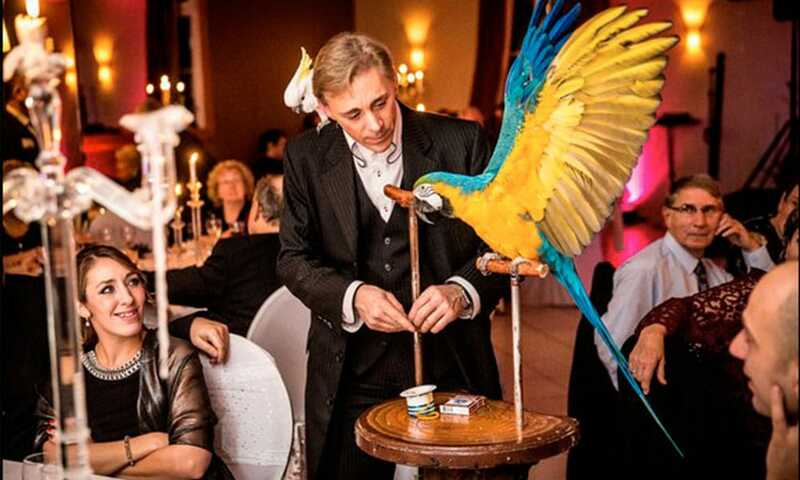 Herve Listeur, Professional Magician for over twenty years, is one of the few magicians performing with beautiful parrots. 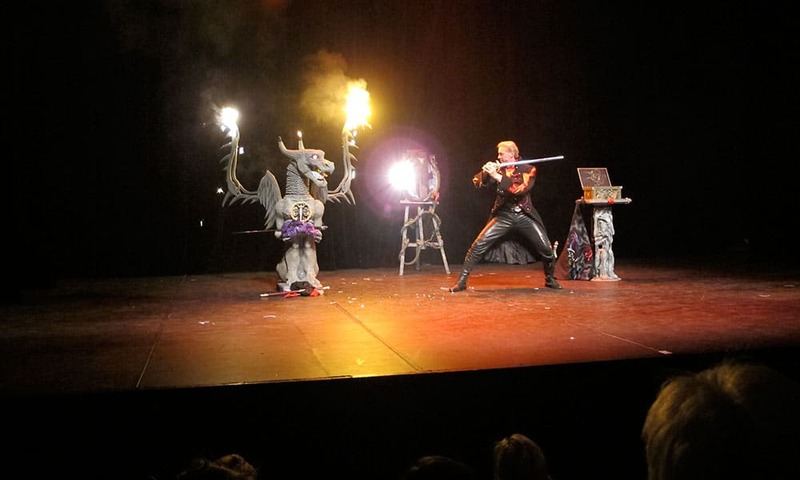 It offers unique, upscale and prestigious magical shows. 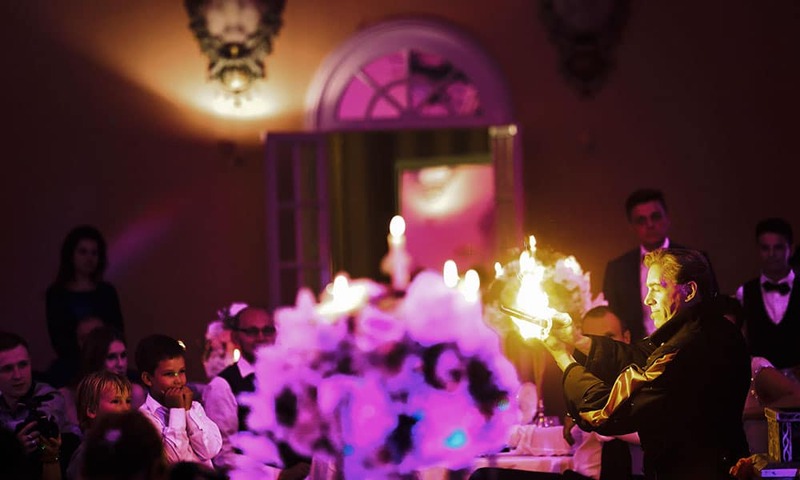 Enchanting magician, he will « beam you up » to another dimension. His timeless magic will let you experience an authentic fairy tale with its myths, its lights and of course, its flights of birds. Feel what your wishes or your desires for new and innovative ideas, Herve will be imaginative, creative and poetry. Leave him a message and the Magic be with you! The first part of his show is a festival of flamboyant visual magic! 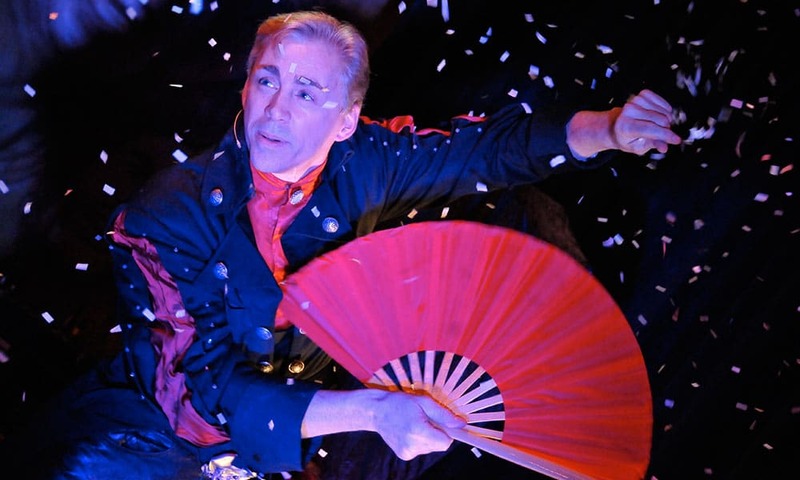 With fantastic scenery and a so lively music, Herve Listeur will take you to the heart of his poetic world and invite you to the wonderful … Appearances, flights of doves and colorful parrots, swords that ignite and even split, fairy lights from nowhere … A flight into a timeless world! Then comes a moment of complicity between the Magician and the birds: a few minutes to seduce you, so you can witness the intelligence of these birds in exercises of skill, ability or language. Great illusions show mattered on request. 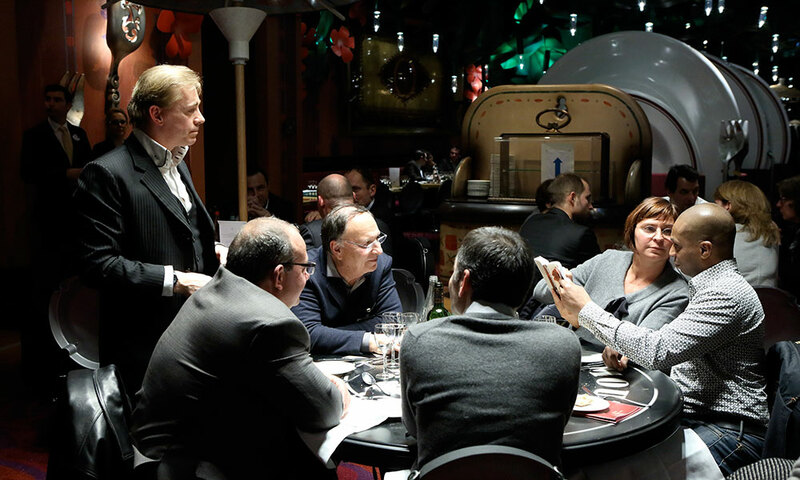 With natural humor, Herve Listeur moves from table to table or group to group, bringing with him a real sense of magic, during this moment of sharing and conviviality. These are amazing feats of magic and require great skills because everything happens barely 5 inches from your eyes! Usual objects or newspapers can reveal many surprises for your guests, making this meal an extraordinary moment. 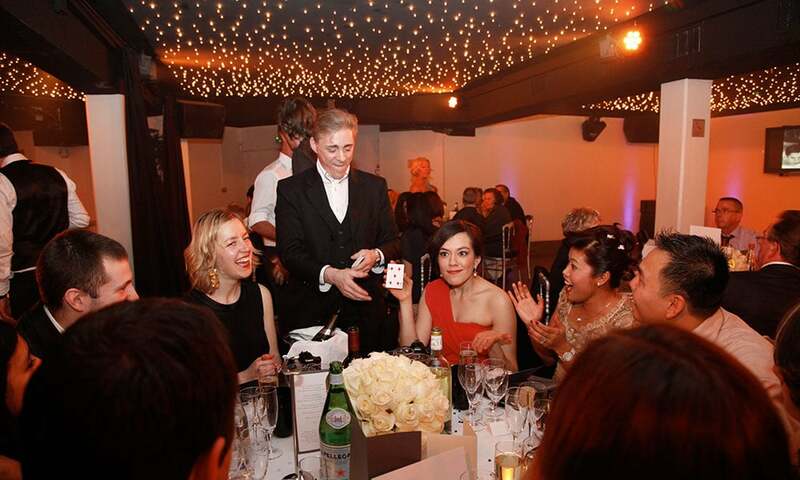 Close-up magic fits in perfectly to all your corporate and private events. The beauty of these birds is already an attraction itself.The magician, Hervé Listeur, starts with Lorito, a very colorfulparrot. A person picked out in the audience is invited to chose a playing card and to sign it. After shuffling the pack, the parrot will find the card. After a few tricks, Cooky will magically appear and land on the magician’s shoulder, all this taking place just centimeters away from the guests. 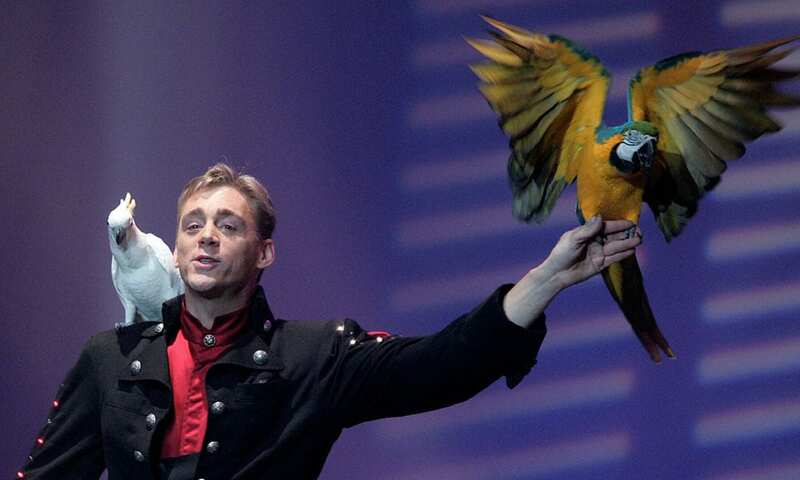 The parrot will then perform balancing and vocal acts. Mental magic or mentalism is a specialty of becoming known to the public. A major TV show has now even used it as its name: The Mentalist. 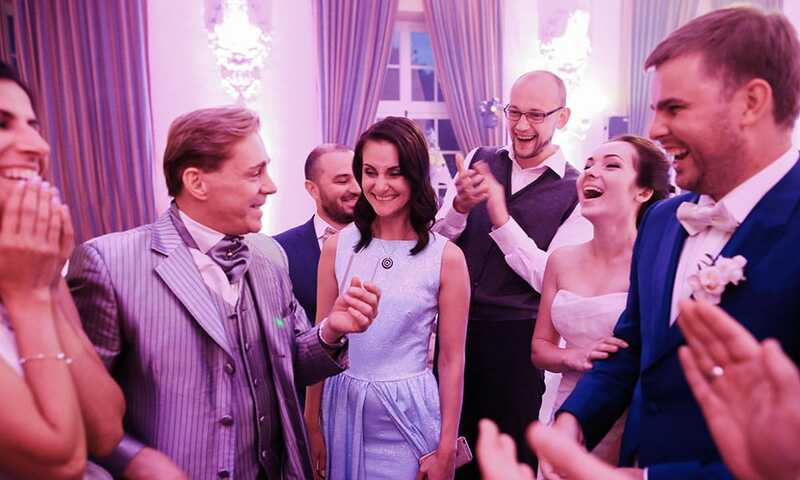 Your guests will experience unique experiences and will witness reading thoughts with books, maps, objects … as well paranormal experiences. 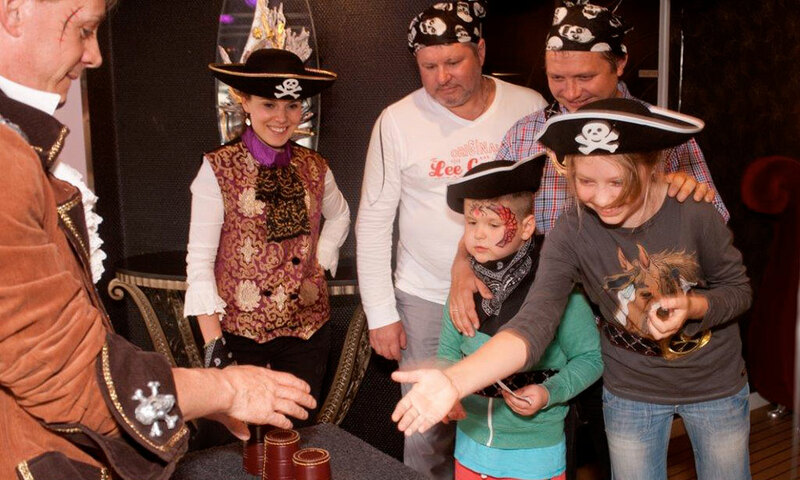 Herve Listeur is the magician of the famous TV show « Fort Boyard » aired on France 2.
Who does not know this famous « Three Card Monte « game where with three cards, two black, one red, one must find the red card ? Everything is possible with herve Listeur !